England Women's National Academy will play Canada's Maple Leafs in two tests, starting tonight at Esher. For both sides, the squads are effectively a combination of players who would be considered at "A" level and current or recent U20s players, with both squads shorn of almost all of their top sevens talent who are away in Dubai. As part of the Women’s development pathway, the English National Academy side includes current senior players – including Latoya Mason, Lotte Clapp and Justine Lucas who all featured in England’s autumn tests - alongside up and coming talent. 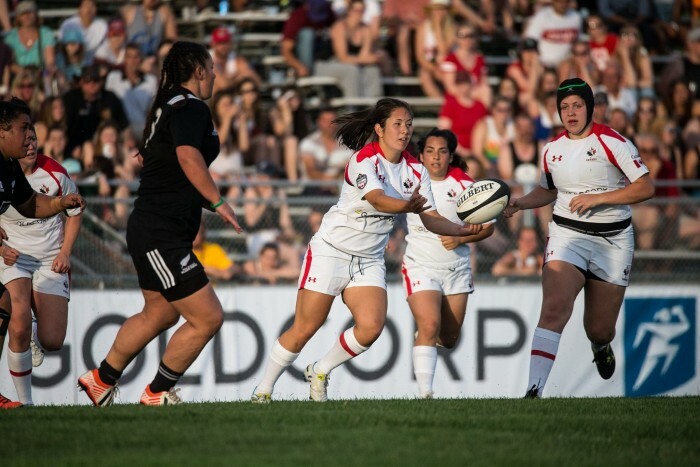 Meanwhile eight members of Canada’s summer Women’s Rugby Super Series squad have been named in the Maple Leafs side for the game. Cindy Nelles will captain the side with DaLeaka Menin, Tyson Beukeboom, Camile Provencal-Aube, Chelsea Guthrie, Jess Neilson, Alex Tessier and Natasha Smith all receiving starts too. Lori Josephson is named to the bench. The other seven starters named by head coach Francois Ratier have yet to represent Canada at the Senior Women’s level. Tuesday’s game. “The Maple Leafs is a transition between the U20 and Senior Women’s team,” Ratier said. “It’s a development team so every player will have a chance to play. “We are here to improve our contact skills so all our sessions are full contact and under pressure,” Ratier said. “So far the players have responded really well.